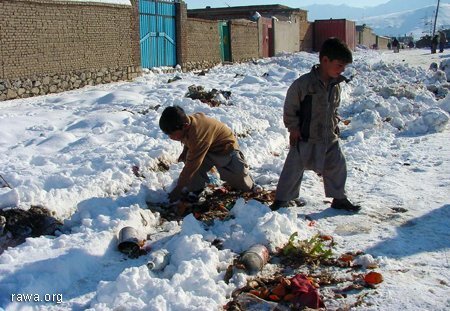 Children search garbage to find food or pieces of metal and plastic for sale. Many of children belong to families who came to Kabul from Pakistan and Iran or moved from provinces where warlords brutalize them. But they are facing new challenges in Kabul.